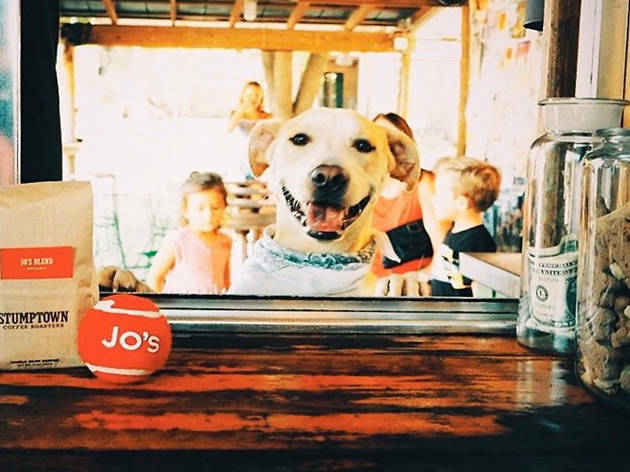 Austin is consistently ranked one of the top dog-friendly cities in the nation, so it’s no wonder that there are plenty of fun Fido outings to choose from—including taking your best friend to one of the city's top dog-friendly restaurants. 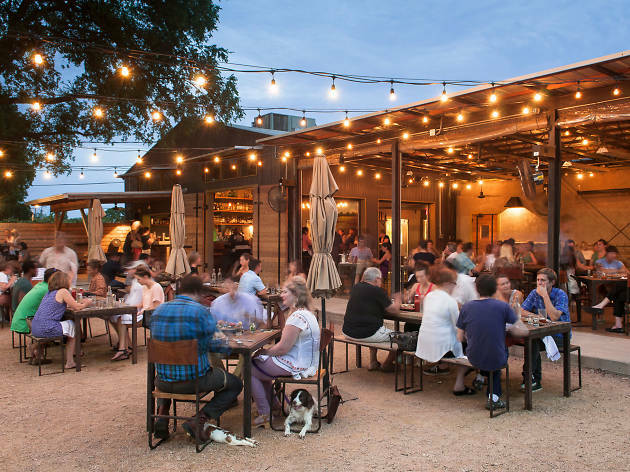 After exploring Austin's best parks and best hikes to get your pup some exercise, head to some of Austin's best restaurants that don't just accommodate four-legged friends, but put the welcome mat out for them, too. 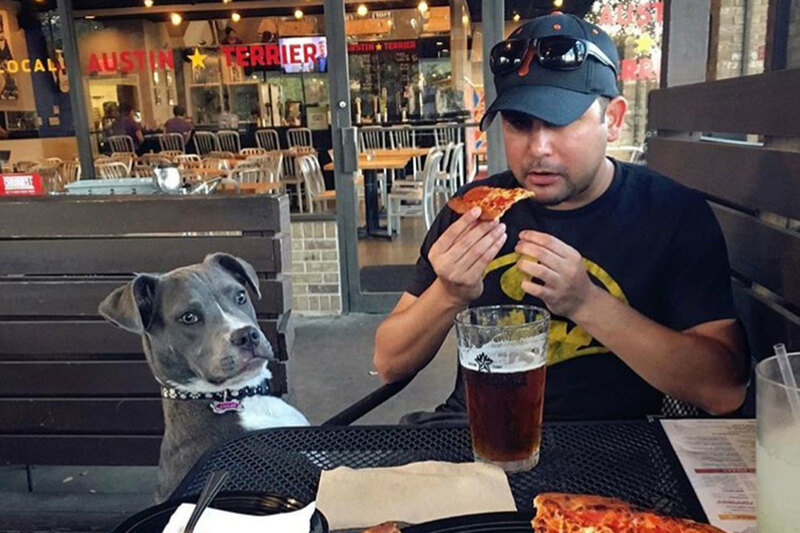 Here are some of our favorite places to take our dog on a date. 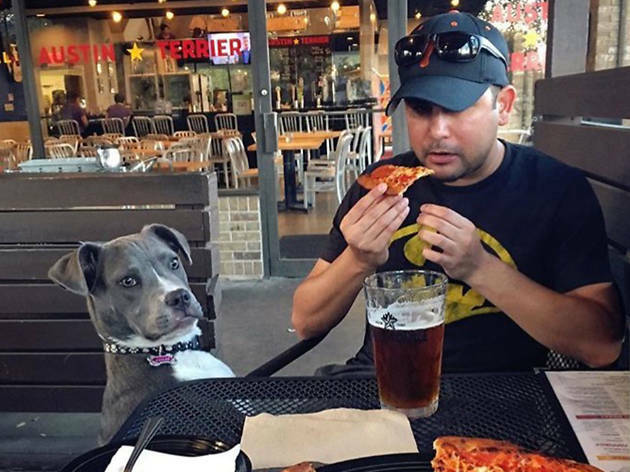 With a name like Austin Terrier, you'd expect that this family-friendly restaurant serving pizzas, sandwiches, salads and burgers would be dog-friendly. 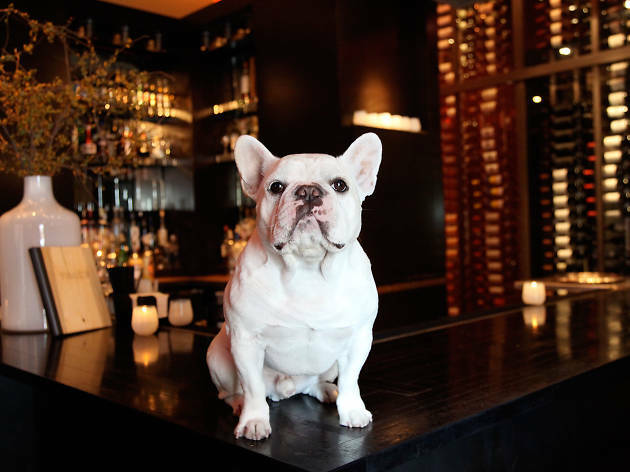 And you’d be right: Dogs enjoy the patio, free treats and freshly-filled water bowls while their companions enjoy craft beer, wines and the house favorite Trio of Fries: ultra-crispy sweet potato fries, truffle and Parmesan fries, and zesty paprika-and-mustard fries. The interior has a colorful, playful terrier motif and, best of all, Austin Terrier gives back to local dog charities. A perfect spot to hydrate after a jaunt around Mueller Park, Contigo welcomes dog guests all day at this uniquely outdoor-oriented, full-service restaurant specializing in quality bar food like charcuterie plates, burgers and small plates of vegetables, chicken meatballs and steak tartare. With a menu heavy on the meats, dogs will want to stay close by, lying in wait under the long, wooden picnic tables arranged around the sprawling patio. 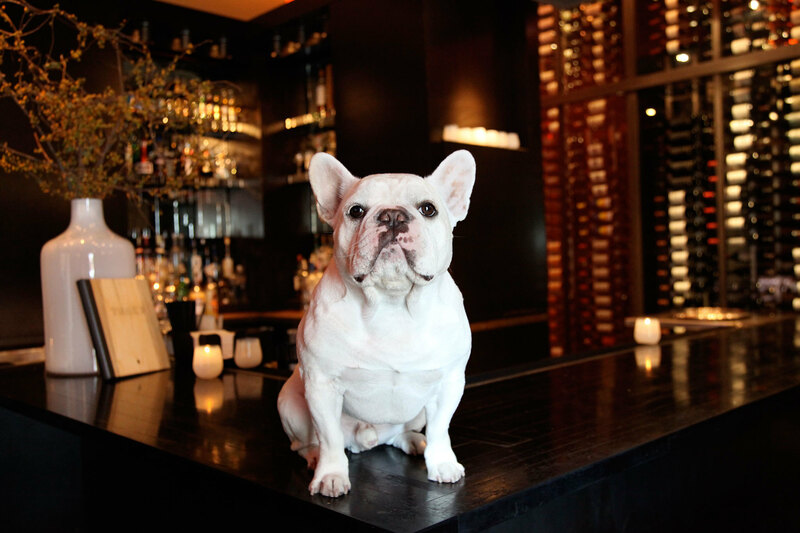 For the discerning canine who likes a plusher patio experience, Trace at the W Hotel might be the place. 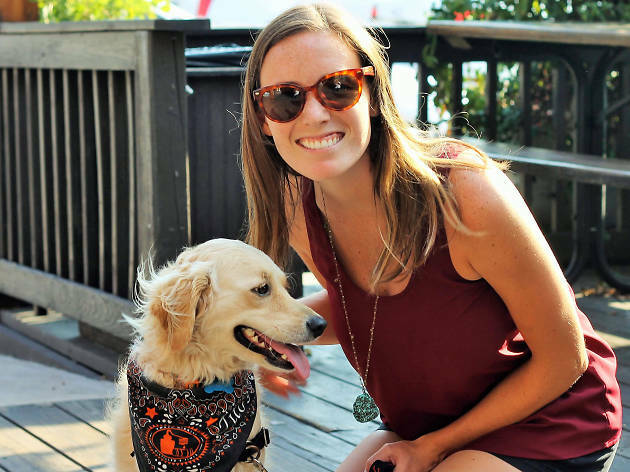 The hotel, with its PAWS (Pets are Welcome) program is just a stone's throw from beloved Lady Bird Lake and its trails and dog park, and prides itself on catering to furry friends. Trace makes homemade doggie treats and doggie ice cream, a peanut butter yogurt concoction. For people, Trace offers cuisine that utilizes foraged and farmed ingredients like oysters, lamb, quail and steaks. 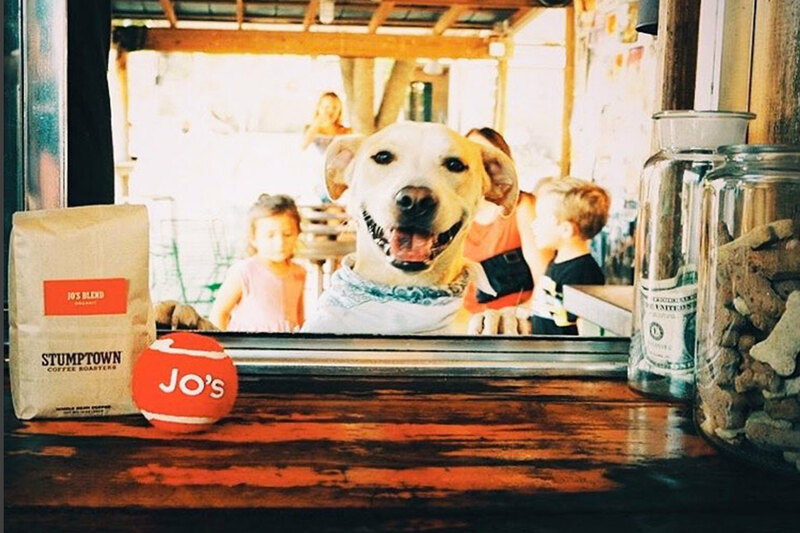 Thanks, in part, to owner Liz Lambert’s love of animals, Jo’s Coffee—both South Congress and Downtown Second Street locations—are dog friendly, offering water, treats and a groovy Austin vibe. The SOCO location hosts the Lyndon Lambert Memorial Easter Pet Parade and Costume Contest with a parade down South Congress, complete with a marching band and outfitted pets all to benefit Austin Pets Alive. And November brings Barkitecture, a custom doghouse design show, with a contest, silent auction and fundraiser. Dog owners go to Jo’s for the coffee, baked goods, pulled pork sandwiches and vegetarian BBQ, and to take an iconic “I love you so much” selfie with their dog. 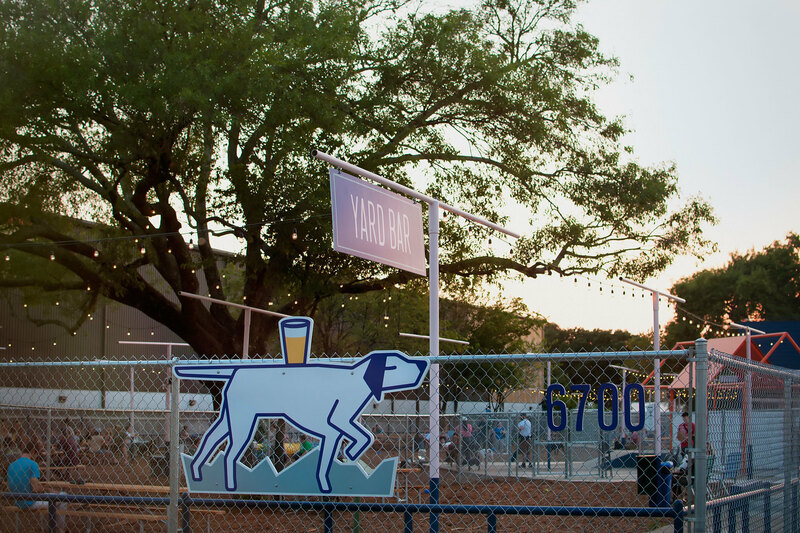 While most restaurants welcome dog patrons alongside their regular patrons, Yard Bar was created with dog patrons in mind. They boast an off-leash dog park with agility equipment, shaded areas to beat the heat and bark rangers to help keep the peace. Small and large dog areas populate the space—just be sure to heed the rules. The kitchen serves up hush puppies, burgers, fresh salads and Antonelli's cheese plates as well as local craft beers, frozen drinks and cocktails, and doggies can feast on Bones & Co sliders and house-made ice cream. 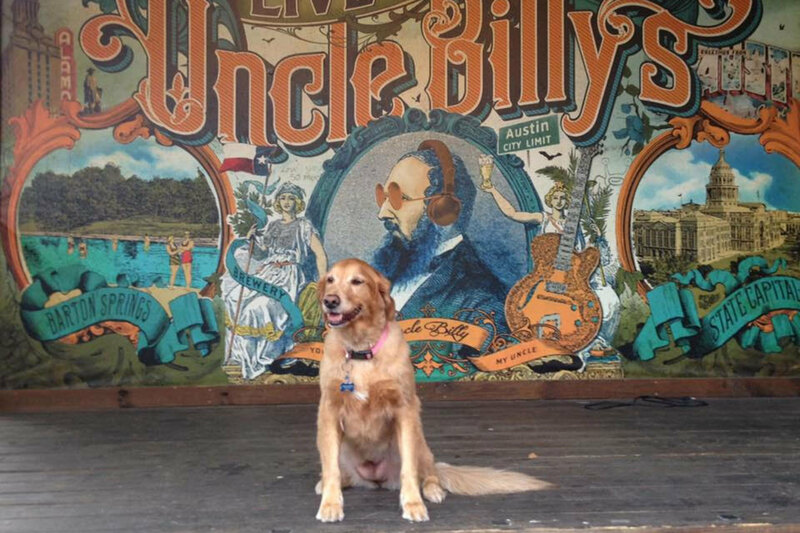 Special events include canine-themed movie nights and live music. Score a day pass for $5.50 per dog, or invest in monthly or annual memberships. 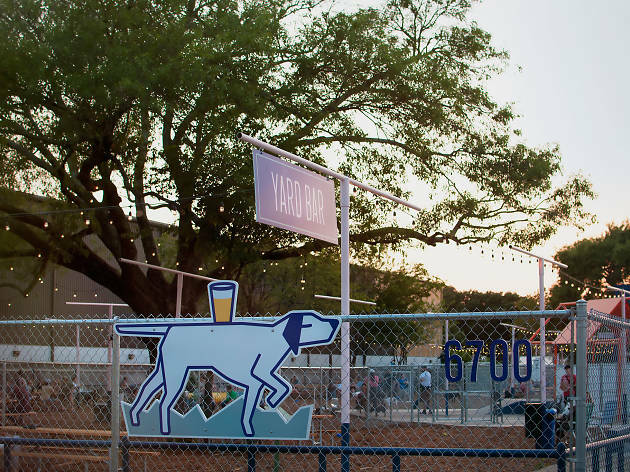 Dogs can mingle at Banger’s in the off-leash dog park area while their owners imbibe over 100 beers on tap in the beer garden. 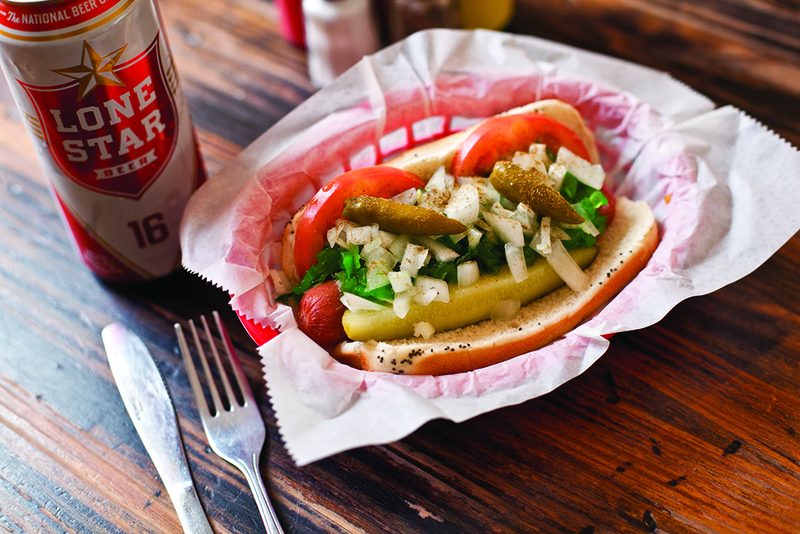 In fact, the entire patio is dog-friendly at Banger’s, so pups can eat their own specialty sausage—the Woof Wurst made of pork and pork fat—while their companions choose from 30 house-made sausages. The restaurant also hosts Mega Mutt Monday, a monthly event to support local rescues and vendors while listening to live local music. If your dog likes watching the game with other like-minded dogs, then Little Woodrow’s is the spot. This neighborhood bar has multiple locations where you can play games, watch sports, drink beers and cocktails and, if you're at the 6th Street location, grab a taco or two from the One Taco food truck. If your dog’s interests expand beyond sports to costumes, they'd probably be down for the May 4th Dog Wars costume competition to raise money for Pets Alive. 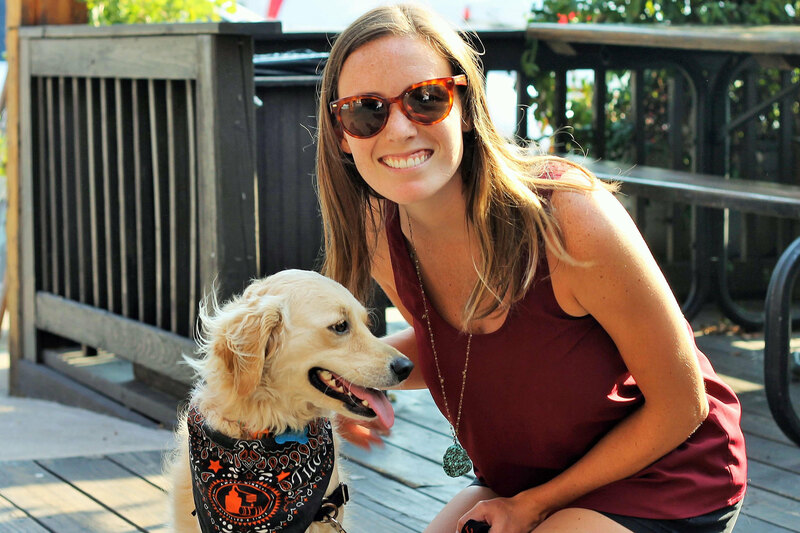 Or head to yappy hour, which is a big draw for canines and humans alike. 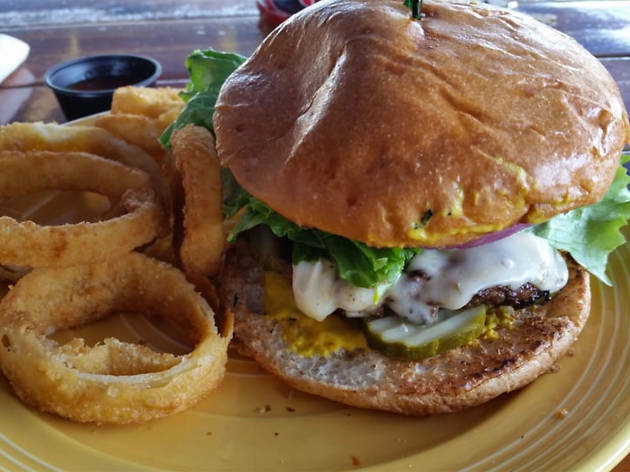 After an off-leash hike at nearby Walnut Creek, head on over to Opal Divine’s, which offers refreshments and vittles on their large patio for both dogs and companions. 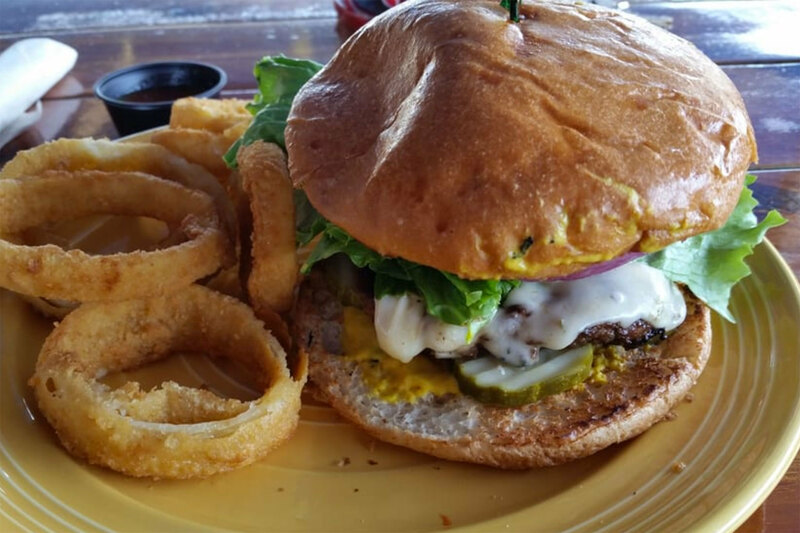 Choose from an expansive menu of burgers, chicken fried ribeye, cheese steaks and street tacos while your canine chooses from their own menu items like Puppy Patties, locally-made sliders, treats from Chloe’s Barkery and Fido FroYo. 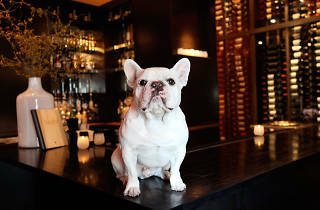 While furry friends lap up their bowls of ice water, you’ll enjoy 60 varieties of single-malt scotch and 36 craft beers. 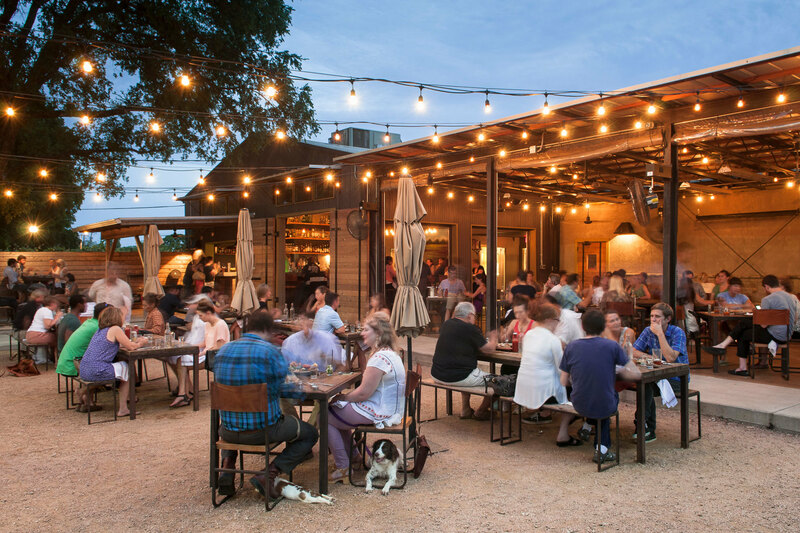 Named after William “Uncle Billy” Barton, whose 1830’s tract included the renowned Barton Springs, Uncle Billy’s is now a brewery and smokehouse with a great patio for dogs and their owners to relax on. Doggie patrons are offered treats made of spent grains, and will enjoy the aromas of brisket, ribs and sausages that their humans munch on. With frequent live music and special beer and brunch events, Uncle Billy’s has a stay-all-day kind of vibe. 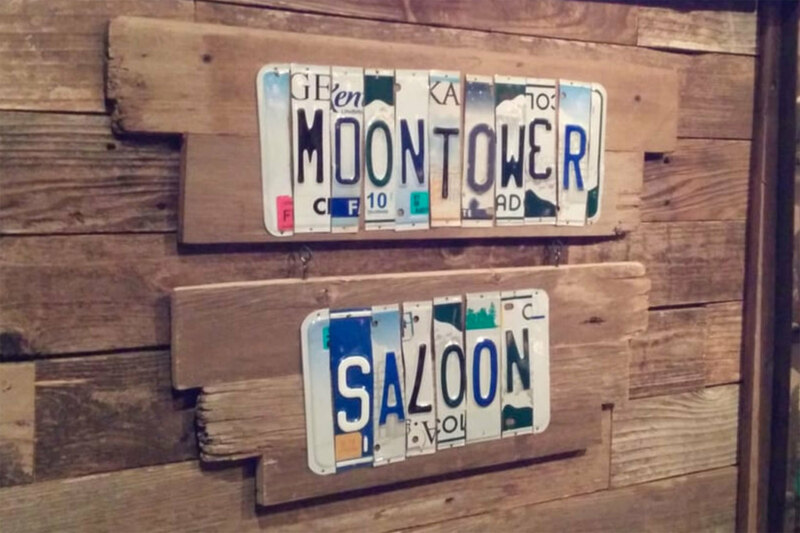 Moontower Saloon in “way South Austin” is the equivalent of crashing a rad house party (often with your dog in tow). The converted 1950’s ranch-house on 11 acres with multiple oak-shaded decks and patios hosts live music, volleyball and Triplewide, a food trailer serving comfort foods like Texas chili dogs, chicken and waffles, Cajun tots and “Deez” Lugnuts (pepper jack cheese stuffed dough wrapped in bacon and served with ranch dip.) 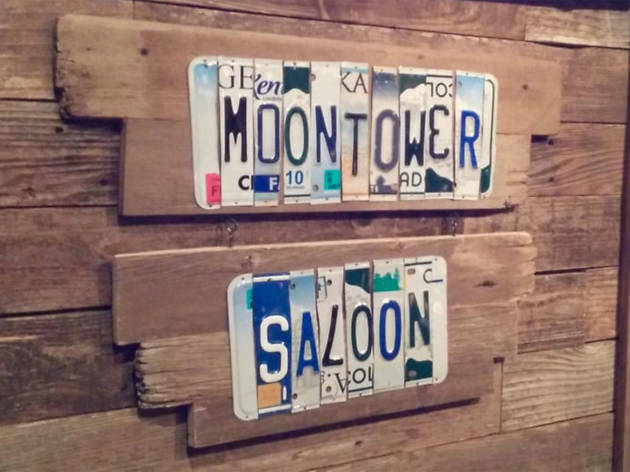 Since all dogs love bacon, Moontower is sure to be a hit with the canine set as well. What about those other dogs? 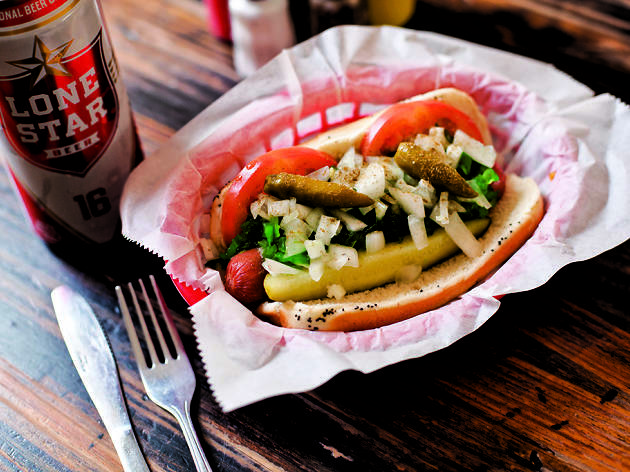 Treat yourself to one of the best hot dogs or sausages in the city.